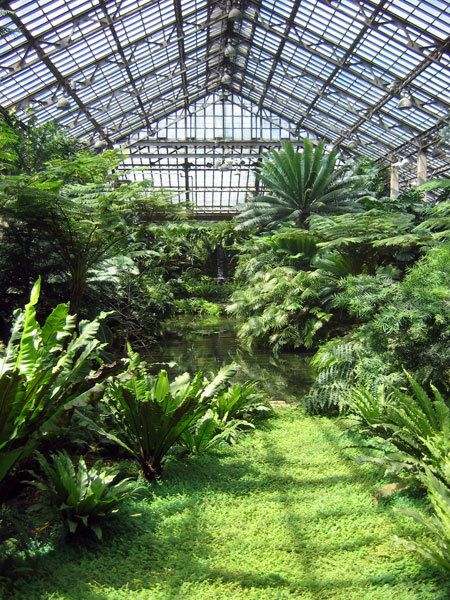 The Garfield Park Conservatory was designed by Jens Jensen in collaboration with the New York-based engineering firm Hitchings & Company. The large structure replaced three smaller greenhouses dating to the 1880s. Considered revolutionary when it opened in 1908, its form emulated a Midwestern haystack, while its interior rooms provided magnificent views. 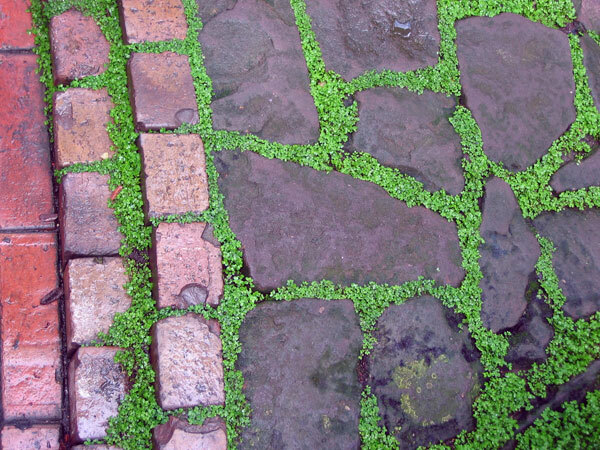 Jensen accomplished this by keeping the centers of rooms open and planting into the groundplane rather than exhibiting plants in potted containers. Walls of stratified stone separated interior spaces and hid mechanical systems. 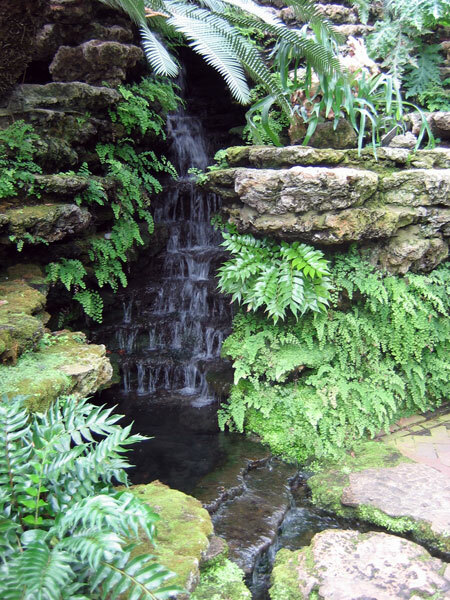 The Fern Room, as the complex’s central focus, includes a “prairie waterfall” and pool bordered by stratified stone. 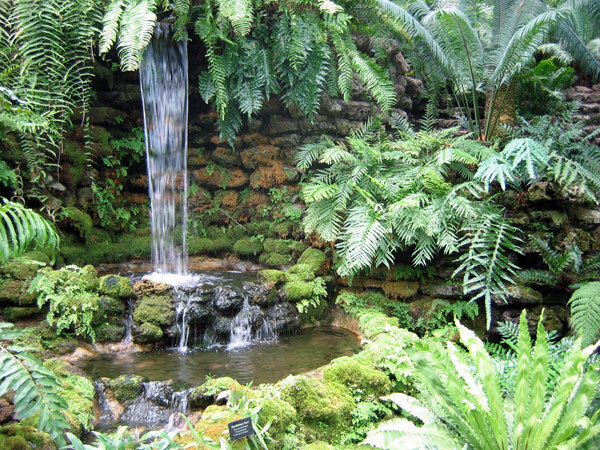 Jensen’s original plant collections were improved upon by August Koch, chief florist at the conservatory from 1912 through the 1930s. Koch turned the original Conifer House into an Aroid House, but remained faithful to Jensen’s design idiom. 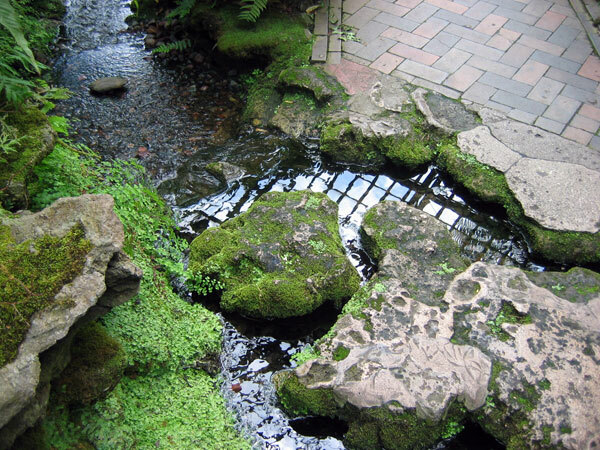 Although the conservatory fell into disrepair in the 1970s and 1980s, millions of dollars have been invested since that time in restoration and improvements. 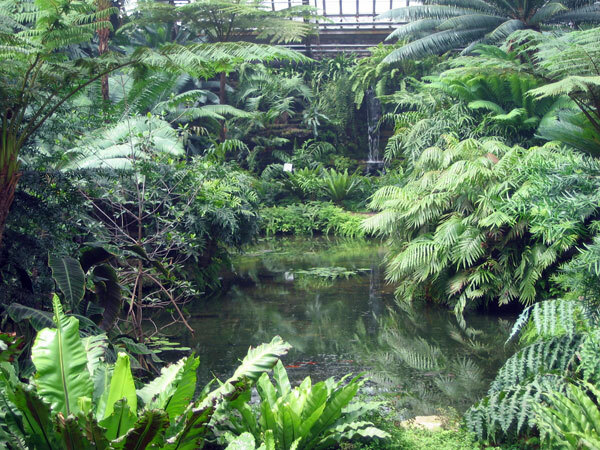 The Garfield Park Conservatory Alliance now partners with the Chicago Park District to provide enhanced programming. 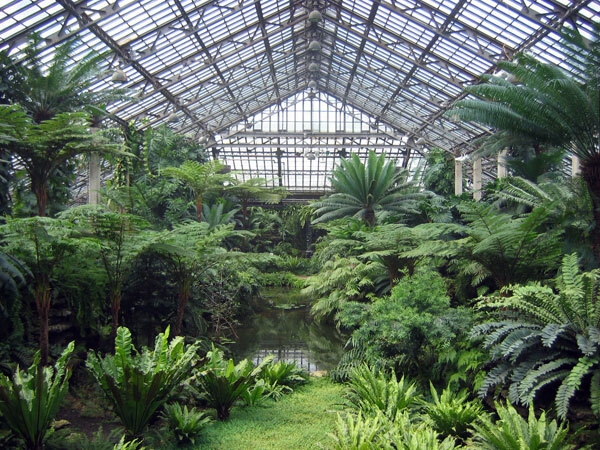 Garfield Park and the Conservatory were listed in the National Register of Historic Places in 1993.